Need something quick and delicous? 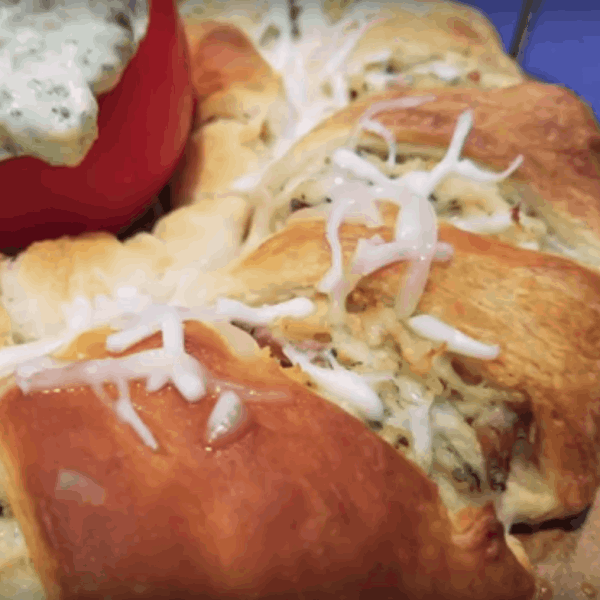 Whip up these Spinach Chicken Puffs with some croissant rolls, chicken, cream cheese and one of our delicious dips. Optional substitutions: Spinach A La Licious or Spinach Parm. Use Garlic Festival as a seasoning on top! 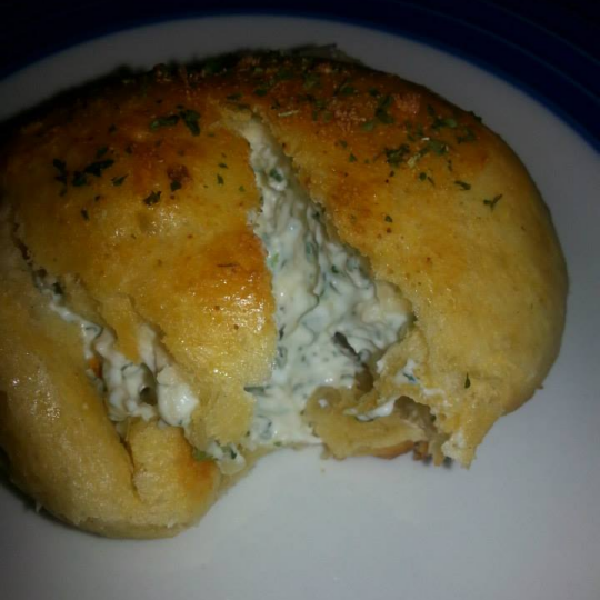 A Spinach Lunch Ring is a great dish to serve at a small gathering. Made using our Spinach A La Licious and chicken, this warm dish is delicious and easy to make. Serve it by itself or let it be a choice of many dishes to accompany a spread of food! 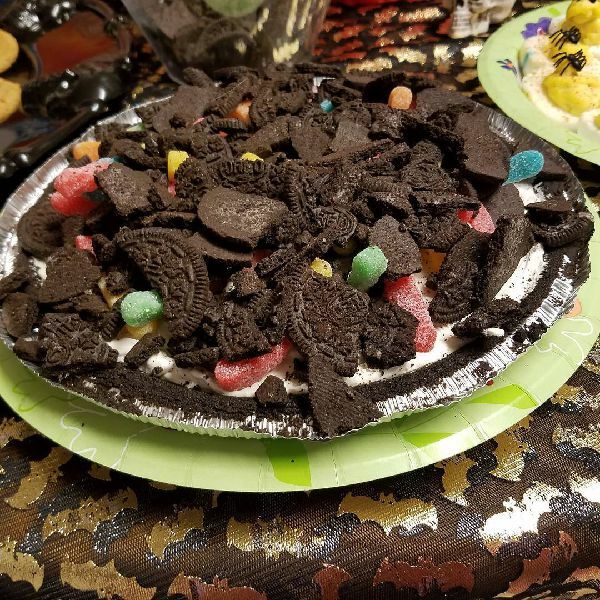 Check out the full recipe on YouTube! Try out our delicious Pork Roast. 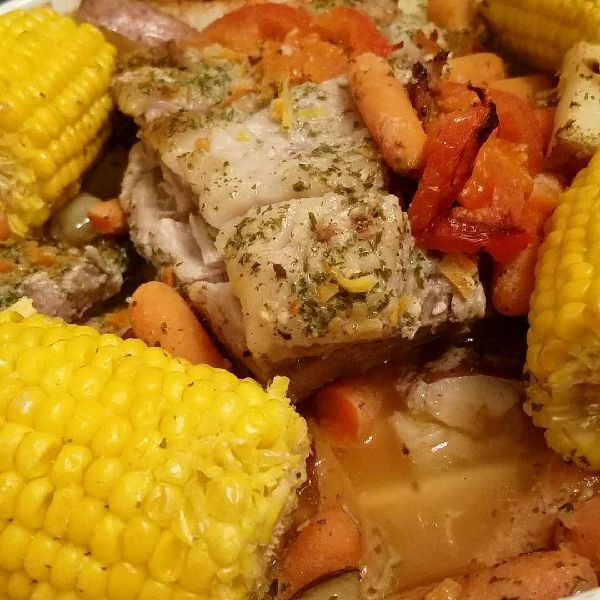 Here we've taken about a pound of pork roast, added our choice of veggies (corn, carrots, red potatoes, onion and tomatoes), 1/2 stick of butter, and a whole pack of Veggie Dipalicious. Cook covered an hour and 50 minutes on 350°F or until done. Serve warm! Make into Salad Dressing by making dip as per recipe on back. Add a little (less than a tablespoon) Milk or Buttermilk to thin out for dressing. Scoop out 2 large baked potatoes. Mix the potatoes, 1/2 pkg of dried dip to 8oz of sour cream & mix well. Repack into potato. Bake again for 20 minutes or until done. Use as tzatziki sauce with Greek chicken. Add into your potato salad (season to your taste). Sprinkle into your hamburger when making spaghetti sauce. Sprinkle into tuna salad for an amazing new flavor. Mix into 1 1/4 LB of Hamburger, make into patties, grill and add cheese (you may also do this with Awesome Blue Cheese dip mix). 1 pound of lean hamburger meat. Preheat oven to 300 degrees F (150 degrees C). Grease a baking sheet. Mix baking mix, cheese, Hickory Dickory Bacon mix,and hamburger together. Roll mixture into golf ball-sized balls; arrange balls on the prepared baking sheet. Bake in the preheated oven until meatballs are no longer pink in the middle and browned on the outside, 25 to 30 minutes. Use as a dipping sauce for shrimp (in place of tartar sauce). Add into Meatloaf or Burgers. Add 1/2 package to a mix of 8 oz of Lite Olive Oil and Vinegar (to taste) for dipping bread. Put salad mix in bottom of a large bowl. Layer one by one the vegetables. Spread the All Natural Veggie Dipalicious dip mix over the top, sealing the edges. Top with the shredded cheese. If you choose, you may top the cheese with crumbled bacon pieces. Refrigerate overnight and serve. Appetizer: Use the cream cheese recipe on the back of the package. Add chopped cooked shrimp, spread over large tortillas. Add your favorite shreadded cheese (ours is a Mexican cheese mix), roll up and slice into spirals. Remember we use Hellmann’s Mayonnaise in all our recipes as it has the least sugar in its mix. Sugar changes the taste of spices, so Dukes, Blue Plate, or Miracle Whip will change the taste of the mix. All Mayonnaises taste differently so it will change the taste of your dip. We also use quality sour creams (like Daisy) and Cream Cheese (like Philadelphia). We have found that most store brand tend to have preservatives which alter the taste of the mixes as well.